That Dream Theater decided to make their twelfth LP their self-titled is not an indication that it's finally figured things out. This collection of overcooked pop-prog metal, more than anything else, exemplifies a band trying to make the most out of a withering identity. A curious thing happened when Dream Theater signed to Roadrunner Records for its ninth studio LP, Systematic Chaos: it got metal. It wasn't that this New York-based prog enterprise hadn't been heavy up to that point; it, along with Queensrÿche and Fates Warning, was key in bringing the worlds of progressive rock and heavy metal together in a new and exciting way back in the mid-to-late '80s. 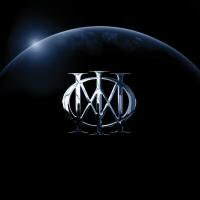 No, this newfound "metalness," while in many ways evident in the band's sound, is manifested in the overall Dream Theater "look" that's only going to become more of a thing as its albums push higher into the Billboard top ten. Press and album photos following Octavarium feature the quintet standing menacingly against dark backgrounds, steely gazes ensuring the listener that the music is really serious and really heavy, man. On Black Clouds and Silver Linings, the most overt attempt on the part of the group to enhance its "metalness" since 2004's Train of Thought, this change in look took to new heights both sonically and visually—though its conception of what exactly constitutes a metal "look" is a bit hilarious. Opening track "A Nightmare to Remember" is awash in faux choirs and Gothic gloom, coming off as Dracula: The Concept Album interpreted by those who prefer Coppola's film version to Stoker's novel. There's an unironic rocker about Freemasonry ("The Rite of Passage"), a power ballad about writer's block ("Wither"), and a nineteen minute epic about a mysterious "Count of Tuscany" that ends in the most anticlimactic way possible. It is an understatement to say that Black Clouds finds these guys in quite an identity struggle. With A Dramatic Turn of Events—the unsubtlest of record names—identity became an issue much larger than had ever been for Dream Theater. That 2011 album marked the departure of drummer and founding member Mike Portnoy, a loss that not unjustly got people wondering if this was the end of"“Dream Theater as we know it." Portnoy's drumming and songwriting is the bedrock for a great many of the band's most essential work, particularly its defining masterpiece Metropolis, Pt. 2: Scenes from a Memory. His departure was instigated by his wanting to take a break despite the wishes of the rest of the gang, who were and still are quite content to continue its ascent to the genre's most public appreciation in a very long time—perhaps ever. Upon Portnoy's admittedly significant goodbye, the world was subjugated to Gossip Girl: Prog Edition, with accusations about screened calls and ignored emails causing fans to form battle lines along pre- and post-Portnoy lines. As I wrote in my brief review of Dramatic Turn for my progressive rock round-up at the end of 2011, the record did prove that, if nothing else, Dream Theater could feasibly exist without Portnoy. New drummer Mike Mangini is as technically proficient a drummer as anyone could expect a human being to be, and though he lacks the distinctive voice Portnoy had, given time it's likely he'll find his own niche amongst the others. However, while Dramatic Turn proves that Dream Theater's essential identity could remain intact absent Portnoy, it doesn't offer much hope that identity will be anywhere near as strong as it was during the time of Scenes from a Memory and a few of its sophisticated successors, Six Degrees of Inner Turbulence and Octavarium especially. Even with Portnoy, the quality of the group's music had been waning considerably, which in some cases led to unintentional comedy, an area prog outfits often veer close to because, well, prog. The addition of Mangini, then, does signify the patching of a considerable wound, but it didn't do a whole lot to treat the underlying maladies. Certain regrettable trends in the band's music, namely a weird, out-of-place nu-metal streak (then again, what nu-metal streak isn't?) resurfaced to an obvious degree on Dramatic Turn cuts like "Build Me Up, Break Me Down". All of these problems come to a head with Dream Theater. That this, the band's twelfth LP, is self-titled is supremely misleading, and those who have stuck around since the Images and Words days will likely be a little more than chuffed by such a bold declaration. Stereotypically speaking, to self-title a record is to make apparent its function of saying something important about a group's identity, a fact that keyboardist and piano virtuoso Jordan Rudess made clear in pre-release interviews. "We feel this is one of the best albums we've done", Rudess told Loud. His perspective is an interesting one, because the archetypal image of the band is not the one that comes to mind when one hears Dream Theater's nine tracks—the twenty-two minute "Illumination Theory" being the key exception. Though not as poppy as stuff like "I Walk Beside You", the catchy, quasi-religious anthem track off of Octavarium, much of this record is, all distorted guitars and double basses aside, pretty pop-oriented. "The Looking Glass" both in key signature and in riffing is pure "Fly By Night" redux. "The Bigger Picture" is scarily similar to contemporary Christian worship music, especially with its exalted chorus ("Shed your light on me / Be my eyes when I can't see / Shed your light on me / Be my guide until I can see / The bigger picture.") Pop isn't an inherently bad medium for these guys to explore; despite the maligning that Octavarium gets for its "soft" cuts ("I Walk Beside You" and "The Answer Lies Within"), this group does have a knack for a good hook. Even the dense, labyrinthine Scenes from a Memory had choruses like the ones on "Through Her Eyes" and "Fatal Tragedy". The problem with the bulk of Dream Theater, which is pop-heavy in the grand scheme of the group's body of work, is that it doesn't commit to its own accessibility. Most of these tracks run between seven and eight minutes and don't have any need to do so. Moreover, even if they were whittled down to a more radio-friendly length, they would only be marginally better; on the whole, these songs amount to a noticeably watered down take on a core style. The truth is, love it or hate it, Dream Theater has always been best at writing grandiose, orchestral prog epics that run close to a half hour. The title cut of Octavarium, a twenty-four minute ode to progressive rock, remains the single greatest achievement of the group, and it also serves a sort of litmus test for anyone considering diving into Dream Theater's voluminous discography. If all of the Rimsky-Korsakovian note runs induce fear or nausea, it's worth turning away; it won't get any easier from there. To that end, Dream Theater includes amongst its track listing three portentous displays of instrumental prowess: "False Awakening Suite", "Enigma Machine", and the twenty-two minute "Illumination Theory". The first of these three is more or less throwaway, the type of overture-esque instrumental that sounds as if it were composed for the opening credits of a fantasy RPG. "Enigma Machine", which surprisingly is the first all-out instrumental jam these guys have written since Train of Thought's "Stream of Consciousness", is fairly by-the-numbers; of course, for any aspiring musician it's the equivalent of an entrance exam to Julliard, but for the gents who have written music like "Octavarium" or the 42 minute suite "Six Degrees of Inner Turbulence", it's to be expected. Ultimately, though, as groan-worthy as it sounds on paper, it's "Illumination Theory" that proves to be Dream Theater's standout moment. In the grand pantheon of this band's epics, it's a minor one, but that doesn't make it any less well executed. It does at first pose a headache-inducing challenge given that it is preceded by forty-eight minutes of overcooked pop-prog metal; fortunately, the band knows its strengths and sticks to all of them throughout the track's runtime. The incorporation of orchestral arrangements by friend of Rudess Eren Başbuğ gives the music the dramatic gravitas that is a hallmark of the best prog. Yet where does this leave Dream Theater, exactly? If at the end of the day all this demonstrates is that Dream Theater can write a hook—which was already apparent prior to this—and that its musicianship is top-tier on all fronts—which is the driving fact of the band's existence—then it's unclear what's truly being offered here. What Dramatic Turn did that made it not the post-Portnoy disaster piece that many were anticipating it to be was how it returned to the group's early '90s sound, all the while maintaining the sharp technicality that fans continue to crave. Twenty years after Images and Words, Dream Theater successfully proved that its core identity had not changed in composition, dramatic events notwithstanding. What Dramatic Turn didn't do, and what Dream Theater does even less convincingly, is show how that identity is still relevant and strong. Most of this, in fact, suggests that what these guys are gunning for is making sure that no ground was lost in Portnoy's absence, "ground" here signifying the prominence that LPs like Systematic Chaos and Black Clouds have afforded them, a motivation not present with feats of ambition like Scenes from a Memory or Octavarium. For quite awhile, the sky was the limit for Dream Theater; now that they've ascended, however, the creative air is running thin. The image of a man unicycling across a tightrope on the cover of Dramatic Turn may have been prophetic about more than a few things.